If you follow me on Instagram...you know that I LOVE penguins. Fun Fact: I hate birds. They scare me...and I think they'll poke my eyes out. So it is very strange that I LOVE penguins. But here's the thing, penguins won't peck your eyes out. They won't because they would be too busy protecting their young or huddling together to keep warm, or rock hopping or something else FREAKING adorable!! 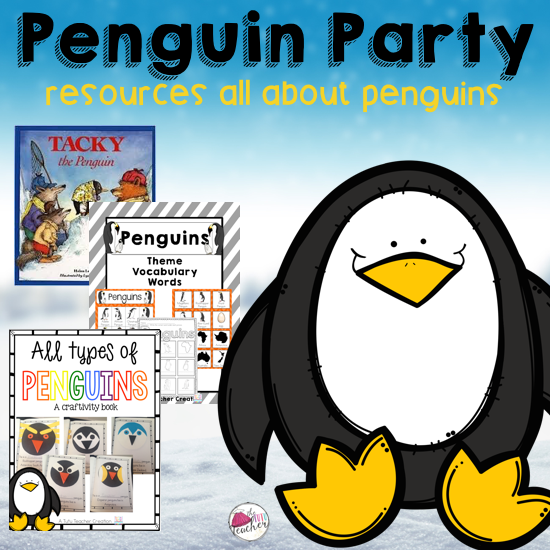 For the next two weeks, my kiddos will be learning all about penguins. 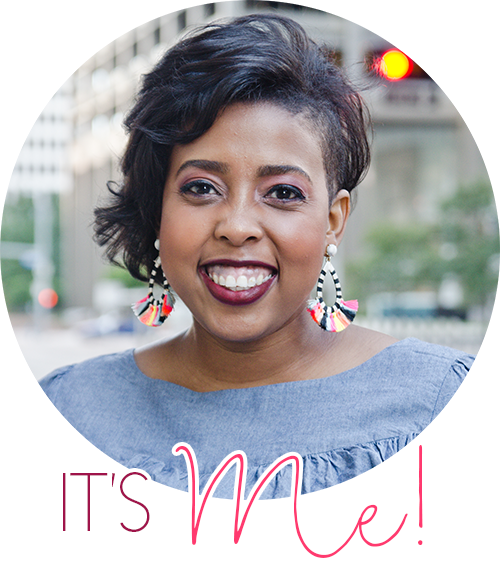 Take a peek at what we are working on! Here's my collection of penguin books. 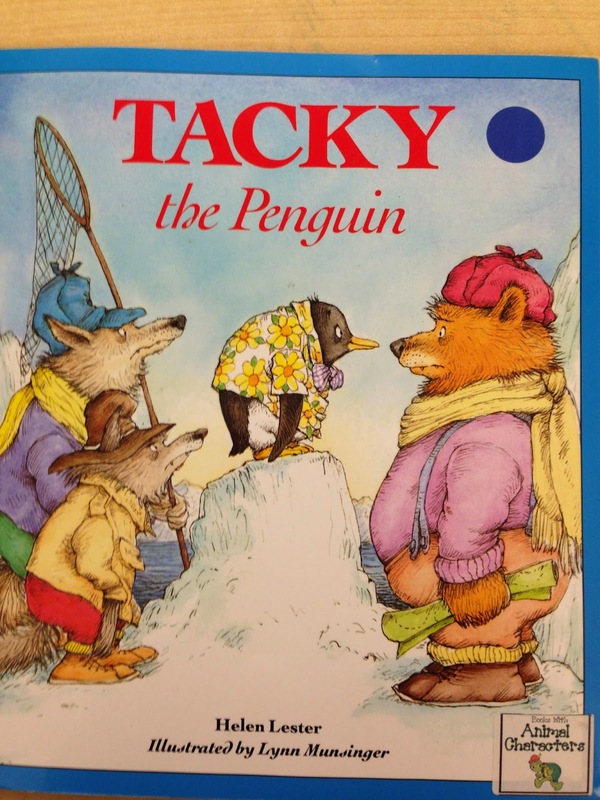 If you read my last post, you know that one of my most favorite read alouds is Tacky the Penguin. I love it so much I purchased most of the books in the collection. Now that I've read it to my kiddos they can't stop reading it. I hear them in the library singing, "We'll sell them for a dollar and get rich, rich, RICH!" We read this book today and used it to compare it to the fiction story, Tacky. 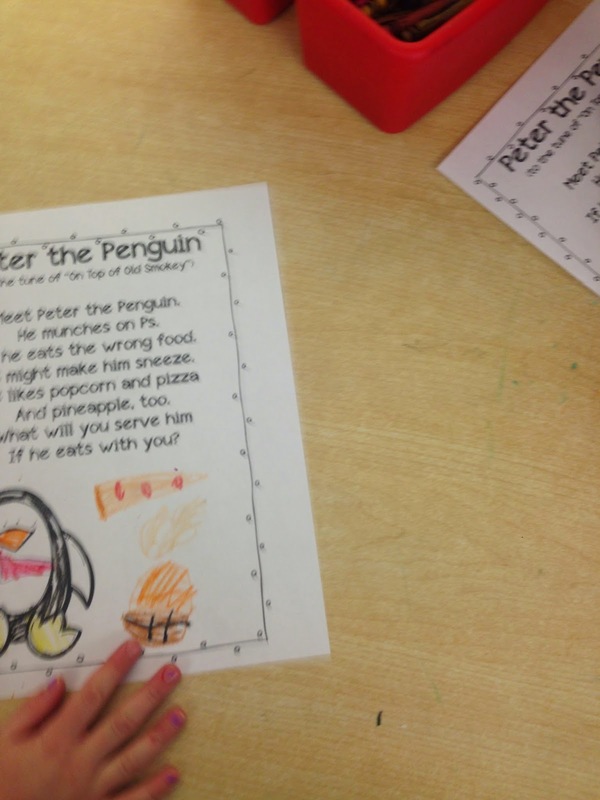 The kids loved all of the facts they learned about penguins. 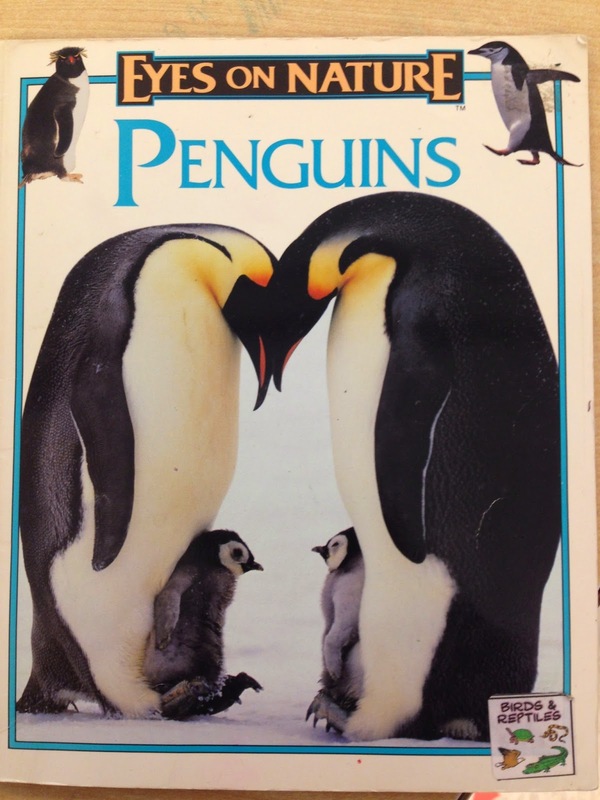 I used this book to specifically talk about facts related to the Rockhopper penguin. 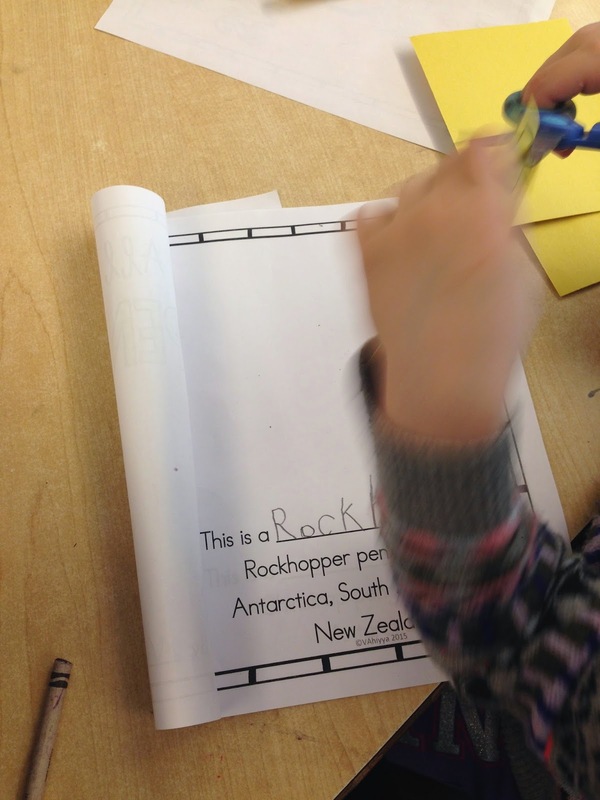 We collected the facts we learned about the Rockhopper and made an anchor chart. The kids loved the fact that Rockhoppers hop instead of waddle. They also thought it was really funny that their feet are pink!!! 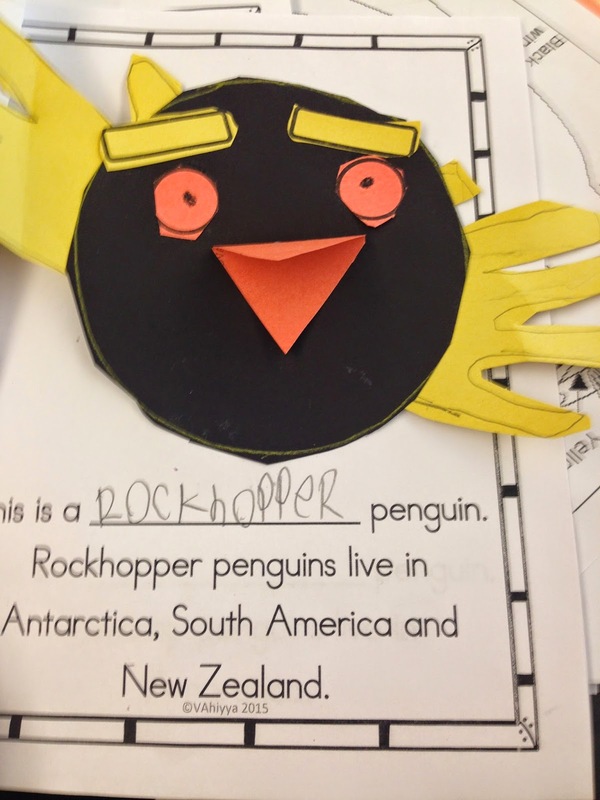 We used what we learned about Rockhoppers to complete the first page in our Penguin Craftivity book. Umm!!! How adorable is this Rockhopper?!! My kids can't wait to learn about the next penguin in our book...the Chinstrap penguin. 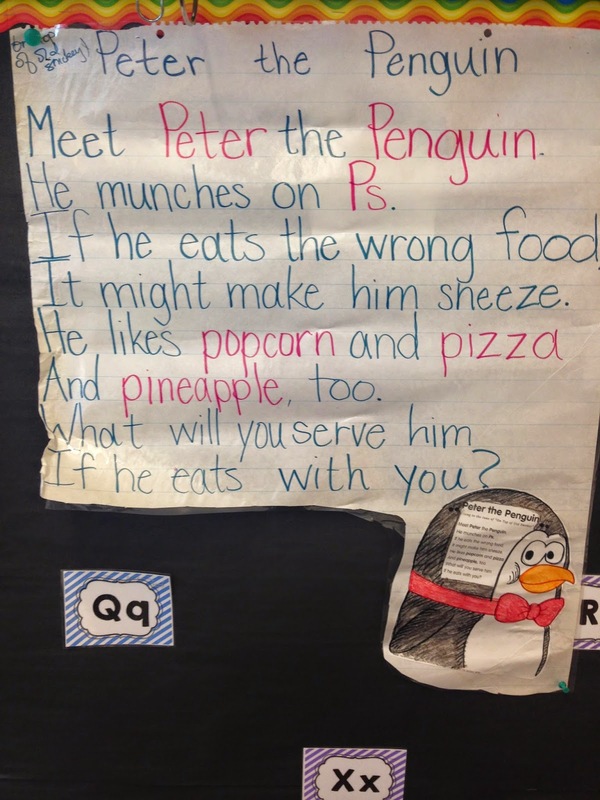 One of my most favorite parts about thematic teaching is finding a song or poem to integrate into our learning. 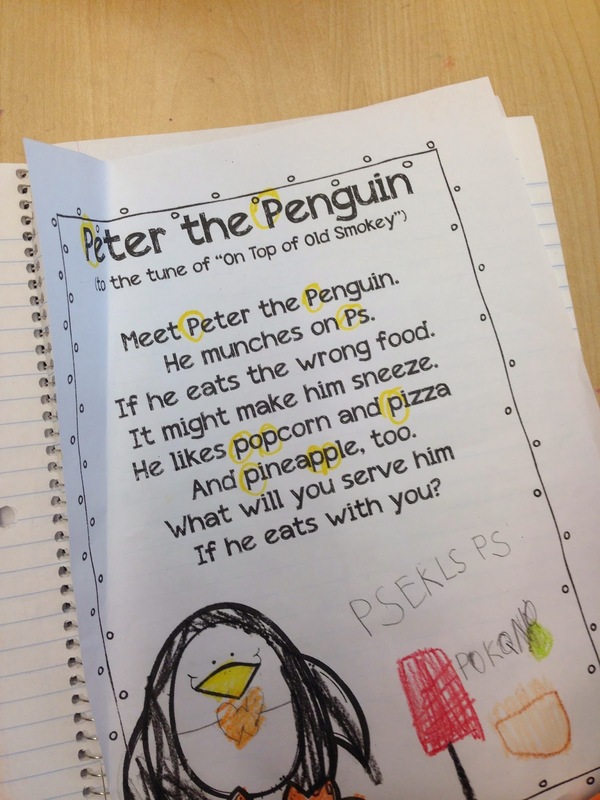 I have a collection of poems from Creative Teaching Press. 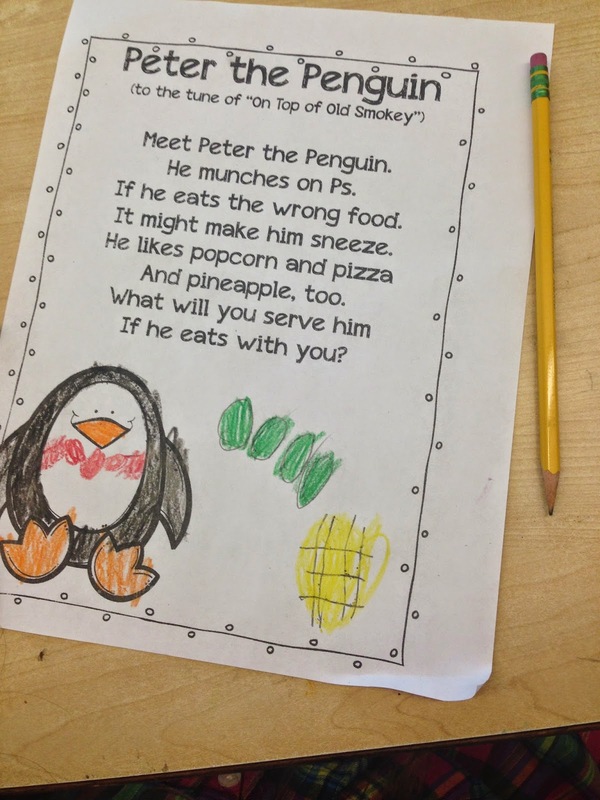 The poem, Peter the Penguin is one of most favorite! 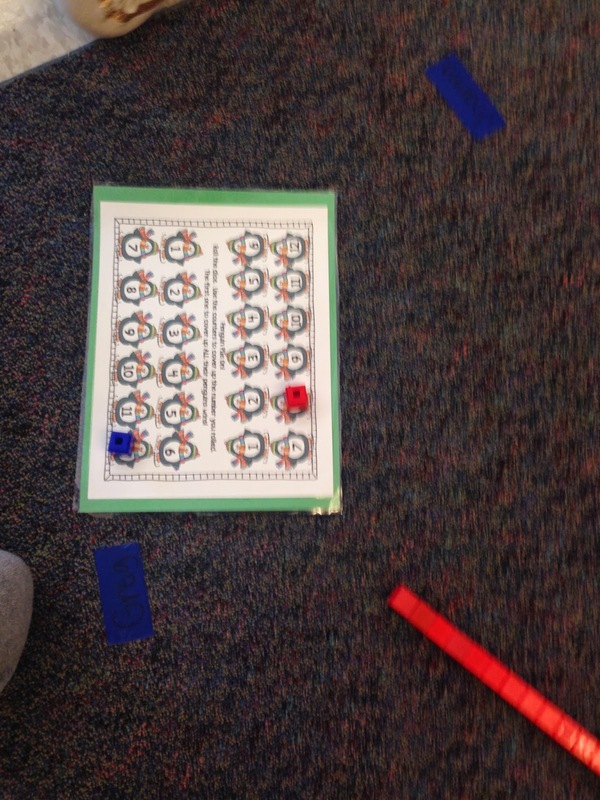 During our math time, we worked on counting penguins, matching number words and ten frames, and many more skills! Here are my kiddos hard at work! 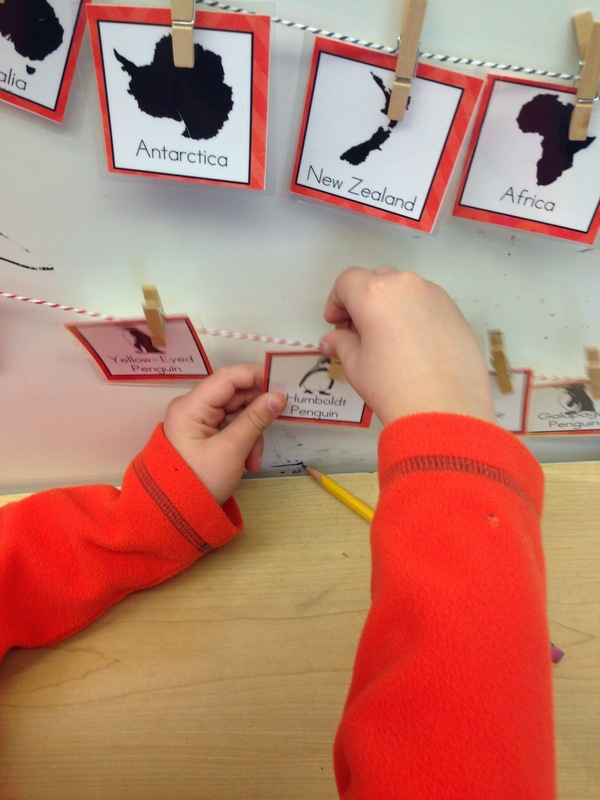 I am not the creator of this awesome penguin measuring center. I downloaded it a long time ago but don't remember who created this. If it was you, you are awesome and I appreciate all your hard work. 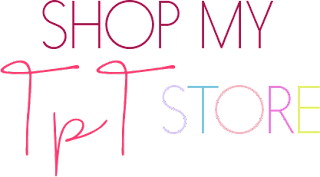 Please leave your name in the comment section so I can give you the credit you deserve! YOU ROCK! 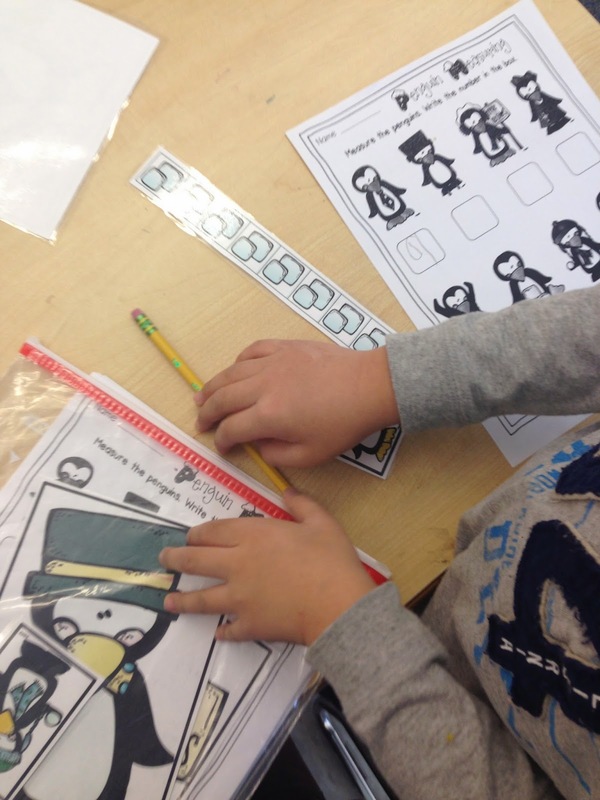 During our literacy centers, kiddos get to write all about penguins using my penguin vocabulary cards. 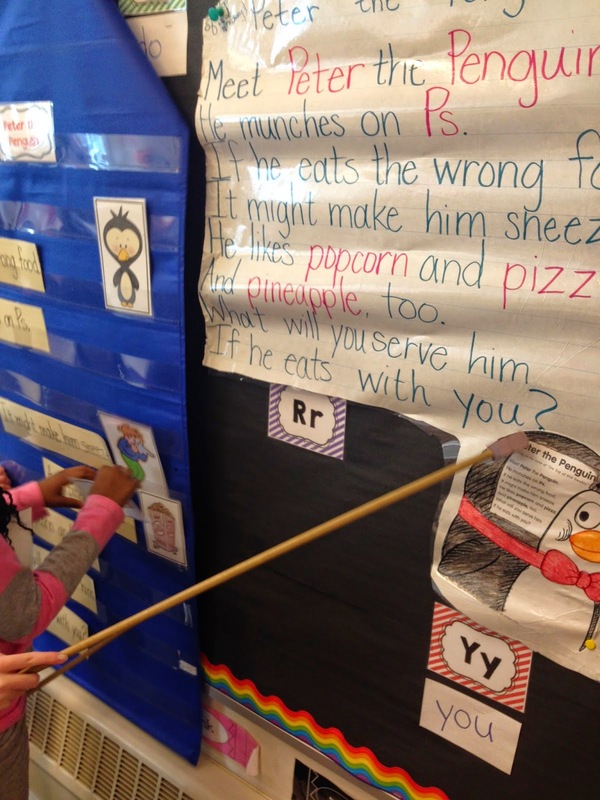 This is great practice for our kids with little vocabulary experience. 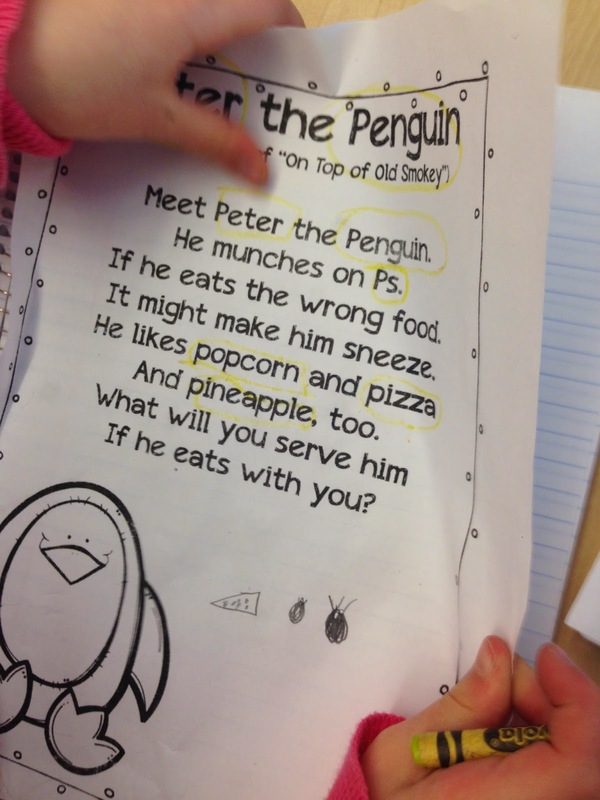 I watched one of my kiddos write the sentence, "I am a penguin egg." 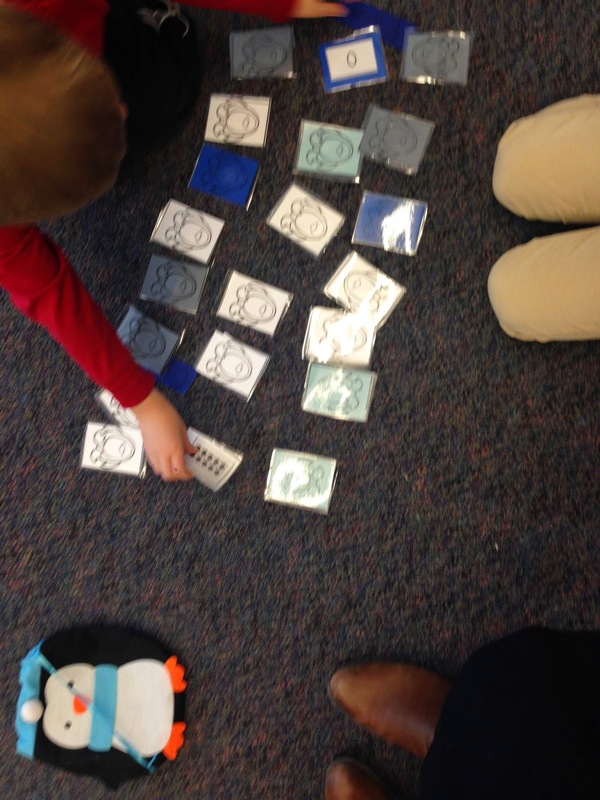 We are having A LOT of fun learning about penguins. These are two of my most favorite weeks in kindergarten!